The LAST DAY of Open Gym, is Saturday, May 19th, 2018. It will re-open Saturday, Sept. 8, 2018. Open Gym is offered September through May. 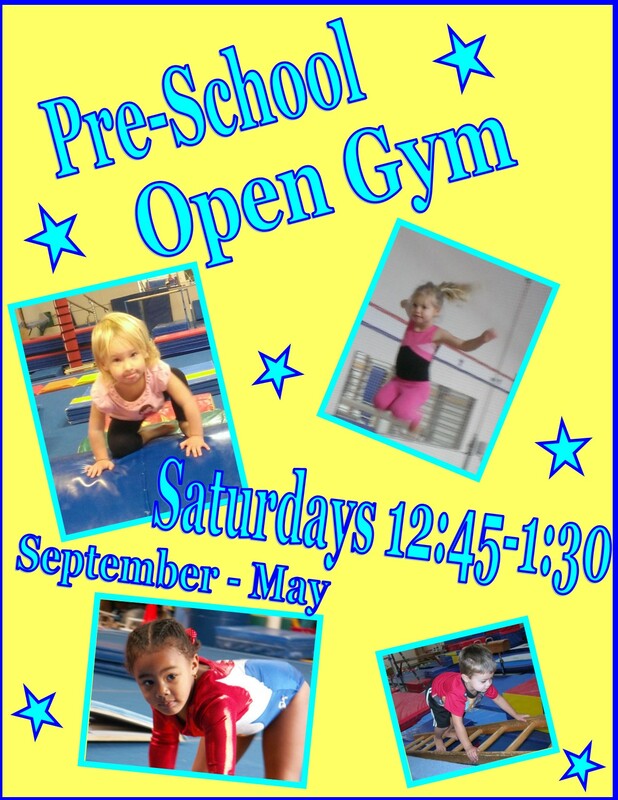 It is a chance for all enrolled students to practice all those fun gymnastics skills being learned in class. Open gym is open to all Rising Star enrolled students, FREE of charge. Open Gym serves a s a make-up class for missed classes or as a FREE additional class just for you. Parents must accompany children under 2 years of age. Parents may not accompany students older than 2. 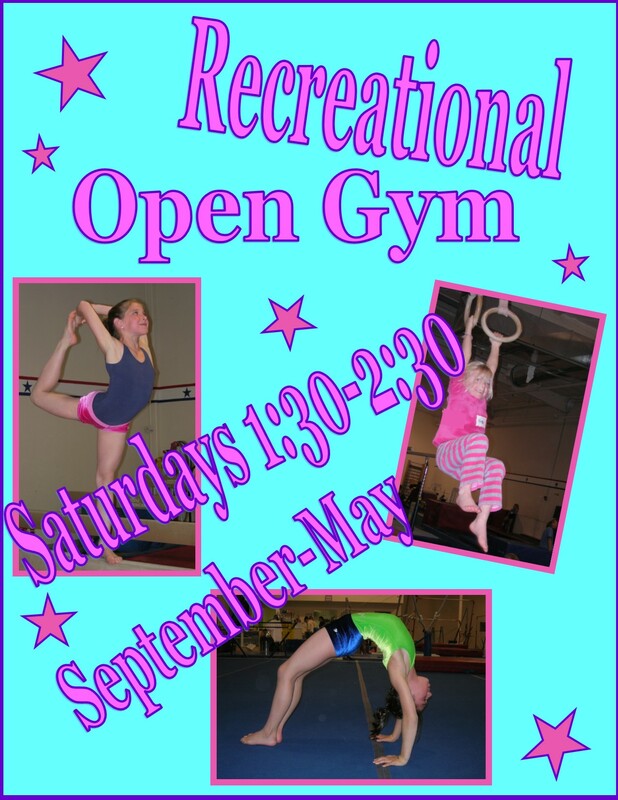 Non enrolled children ages 6-14 may attend Recreational Open Gym class for $26 per class. A signed waiver must be received by the office before the child is allowed to participate.